Most of the times when we visit a website, video ads started playing automatically. This is really annoying and also consumes the bandwidth. If you want to prevent these ads from auto playing, you can easily do with the help of few browser extensions. 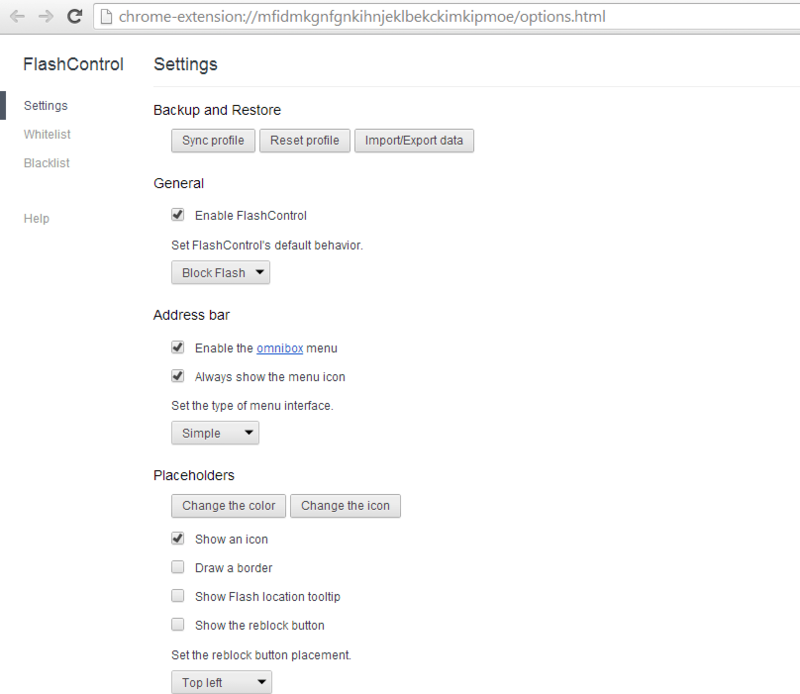 In Chrome, you can try FlashControl browser extension. It prevents adobe flash player from automatically creating instances on page load. This extension works fine and does not add any impact on overall functionality of your browser. Install FlashControl from Chrome WebStore. Once installed, it will start showing flash icon at the right side of browser’s address bar. And now it will all flash content and video ads on websites. On all blocked content, you will see flash icon banner. 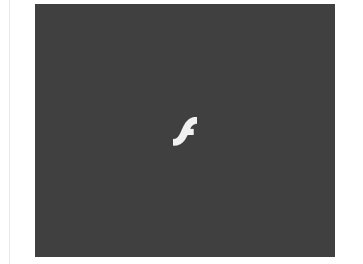 You will have to click on that banner to manually enable the flash content to show on your browser. Click on the omnibar icon, will open a context menu with few options. 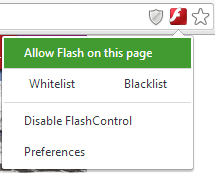 First option lets you allow flash content on that page. You can also whitelist or blacklist a website. Last option is Preferences where you can configure various Preferences of the plugin. In preferences page, you can configure various settings like General Settings, Backup and Restore, Power Management, Placeholders and other. At the left side, you will also find options to check whitelist or blacklist options. No option is complicated, so you can easily understand and change as per your own need. In my opinion, this plugin is really useful for those who usually visit many websites a day and suffer various flash and video ads on those websites. I liked the plugin because it stop videos from auto Playing. When you open many browsers at a time, sometimes it becomes hard to find what tab is playing the video. Try this plugin on your Chrome browser and share your views with us via comments.